The Gateway Arch is a 630-foot-high attraction in St. Louis. It is built from stainless steel into a giant arch and currently, it’s also the tallest man-made monument in Missouri. The Gateway Arch was built as a monument to the westward expansion of the United States, and it is also a key centerpiece of the Jefferson National Expansion Memorial. 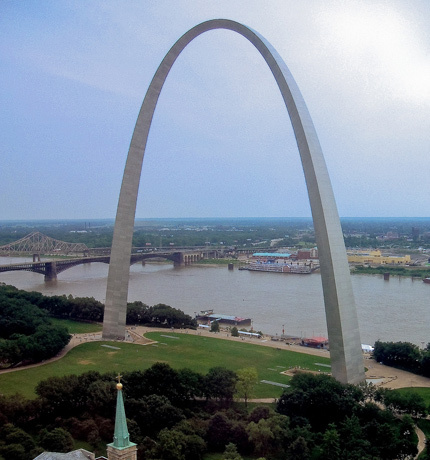 Over time, the Gateway Arch has become internationally famous as a symbol of St. Louis. Construction on the Gateway Arch begain in 1963 and was completed in 1965. The Gateway Arch was constructed to celebrate St. Louis’ central role in the rapid expansion westward after Thomas Jefferson’s purchase of Louisiana in 1803. In 1947-48, a national competition was held to design a monument to honor the spirit of the western pioneers. Eero Saarinen won this competition and it would be his design that would be use for the Gateway Arch. Sadly, Eero Saarinen died of brain cancer in 1961 and would not see the construction of the Arch begin; however, his spirit remains with the Gateway Arch and St. Louis will forever remember his dream. Beneath the Gateway Arch lies the Museum of Westward Expansion. You can follow the circular route of the museum and view all the different galleries that retell the westward expansion and 100 years of American history. Inside the museum, you can see artifacts, mounted animal specimens, an authentic American Indian tipi, and an overview of the Lewis and Clark expedition. 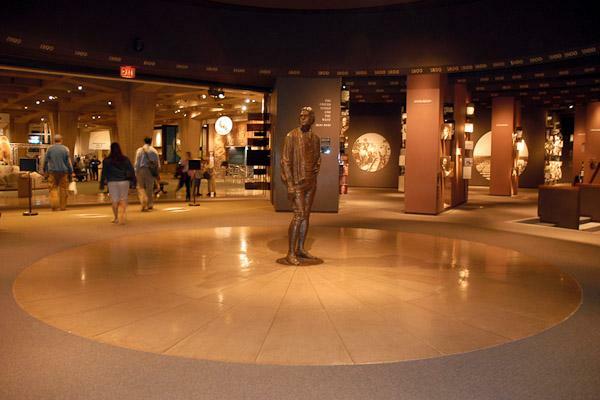 You will see many exhibits, photographs, and artifacts that will help you learn about this period of American history. Exhibits include African Americans of the West, American Indians of the Great Plains, Animals of the West, the Lewis and Clark Expedition, and Pioneers on the Trail.